Do you want to draw doodles for fun? Or Do you want to be a full-time doodle artist? Either way, checking other illustrators’ portfolio is inspiring. You can look at Nila Aye’s portfolio full of lovely doodles. Nila Aye has been an illustrator for more than two decades. These days, she is a professional children’s illustrator in the UK. Do you like her drawing style? If the answer is yes. She teaches how she draws in her book Drawing School. Nila’s book preview is here and you can draw several of her doodles right now for free. You can grab your pencil, paper and Nila Aye’s book Drawing School full of easy doodling ideas for beginners. She will guide you step by step on 250+ easy drawing ideas. 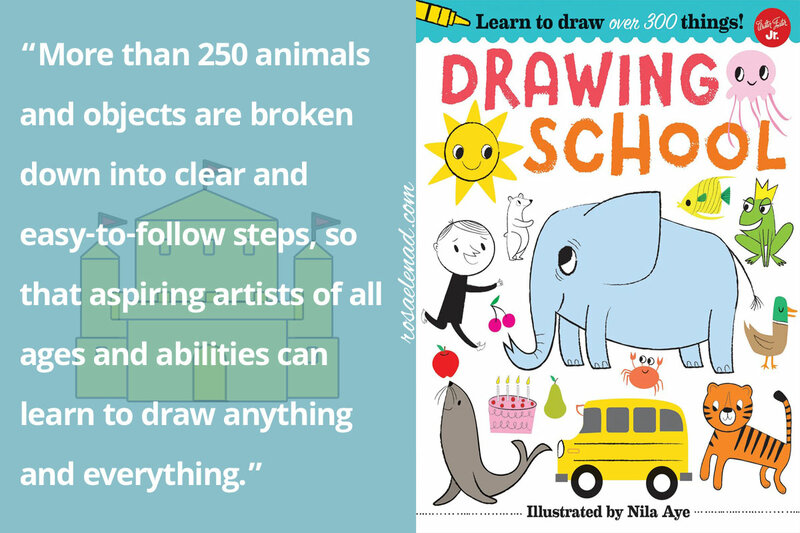 Nila Aye adds the step by step drawings for beginners that match perfectly what she is teaching. This idea may surprise you but you know more about drawing than you think. Colored pencils, markers, etc., whatever suits your needs and preferences. I would add a geometric ruler for the curved lines. Nila suggested trying the curved lines without a ruler. 1.- Seeing Shapes: circle, square, rectangle, triangle, half-circle, and diamond. 2.- Learning Lines: straight, wavy, spiral, curved, angle, zigzag, squiggly, wavy, spiral, and jagged. Nila Aye explains drawing doodles through basic shapes and simple lines. Let’s Celebrate is all about a children’s birthday party. So, You’ll learn to doodle a cupcake, a birthday cake, balloons, gift boxes, and a piñata. 250+ Doodles to choose from. Drawing School is full of step by step illustrations with opportune guidelines. Nila Aye provides an easy method to draw cute doodles right away. With basic shapes and simple lines. We already know how to do the basics! The instructions are easy to follow because the illustrations are self-explanatory, and with the guidance available, you are good to draw right away. By the way, if you think you’re too old to learn to doodle, check Judy Clement’s work and her book: Find Your Awesome. She learned to draw in her forties; nowadays, she works as an illustrator. 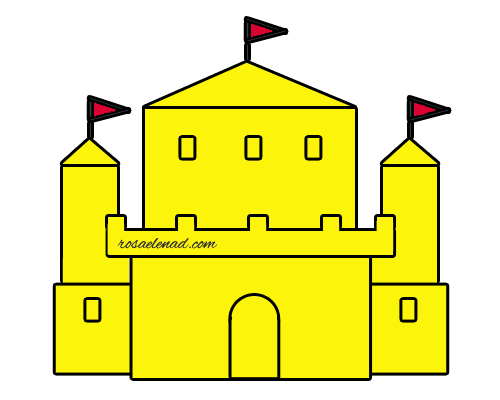 Drawing School includes step by step easy drawings ideas for kids or adults. If the kids in your life love to draw it could be a nice present or a lovely activity to share with them. If you choose to learn to draw doodles. Enjoy! If you liked this article share the love or leave a comment. Thanks! This might make a beautiful Christmas gift for a toddler Rosa ! Thank you for your post, will try to order it soon enough !